Chris Kimbrough joined Compass with Laguna Residential Group in early 2018. A seasoned executive with over 17 years of experience in the luxury retail industry, Chris understands the importance of providing an unparalleled customer experience. His client centered approach, combined with his keen analytical skills and a discerning eye for quality, make him an asset to Laguna Residential. Chris was drawn to real estate by his strong passion for architecture and design, coupled with a desire to build and foster lasting relationships with clients. Prior to joining Compass with Laguna Residential Group, Chris was the Director of Stores, South & East for the David Yurman brand overseeing 18 domestic retail locations. Prior to this role, Chris worked in other leadership positions with internationally recognized brands including Tod’s, Jimmy Choo, and Dallas based Neiman Marcus. In each role Chris was known for establishing strong bonds with clients, as well as expanding brand awareness through strategic marketing and events. While Chris has traveled extensively both professionally and personally, he has been fortunate to call Dallas home for the past 17 years. 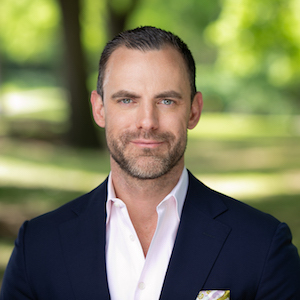 As a Dallas resident, he has enjoyed living in a variety of neighborhoods including Downtown, Uptown, North Dallas, Lakewood, and most recently the exciting and vibrant Henderson Ave/Lower Greenville corridor. Chris holds a Bachelor of Business Administration from the University of Texas-Austin.